You’ll save time every month when you place an order at Carrick Knowe Pharmacy because you no longer need to visit your GP – you can simply change your prescription by speaking to a member of our Pharmacy Team. This means you can mix up your gluten free menu as often as you like and make the most of your monthly entitlement. 1 Ask your GP for a Patient Registration Form. 1 Check the number of units you can order each month with your GP or Dietitian. 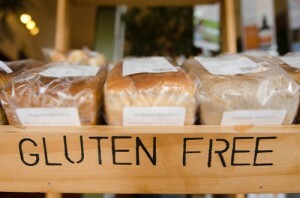 2 Complete the gluten free food requirement order form provided by your GP or Pharmacist. 4 Carrick Knowe Pharmacy will let you know when your order will be ready to collect. 5 Complete a new form each month, changing your order as often as you like.